It was more than three years ago that Arcade Fire, a Canadian indie/alternative rock band, released their highly acclaimed third album, The Suburbs. Since then, fans of the band have become well-acquainted with their music and stage presence. This balance amongst the group’s fans was upset when Arcade Fire was revealed to be responsible for a series of strange symbols that were showing up in major cities around the world, beginning in August of this year. Large murals contained these symbols, along with the band’s name and a mysterious and, at the time, inexplicable date. On Sept. 9, the date announced by the mural, the band released two new videos and a single under the false name The Reflektors. Almost two months later on Oct. 29, this impressive and innovative advertisement campaign reached its peak; the long awaited album Reflektor was finally released. Right off the bat, the compilation is radically different from anything Arcade Fire has put out before. Win Butler, frontman for Arcade Fire, has said that the album’s sound was heavily inspired by Haitian rara music, which is a type of festival music that involves the combination of trumpet-like instruments and a variety of percussion instruments. Butler also stated that the album’s lyrics and tone were inspired by the 1959 Brazilian film Black Orpheus, an adaptation of the Greek legend of Orpheus and Eurydice set in a favela during Carnaval. Reflektor revolves around the theme of isolation, and while it does have some uplifting moments, the album maintains an overall serious tone from start to finish. The album opens with the eponymous song “Reflektor,” a perfect display of the sources of inspiration for the album. The lyrics focus on a love story that somewhat mirrors the story of Orpheus but with a modern twist. It introduces the complexities of living in a technological world and its emphasis on superficial communication into relationships that should be personal. Through an unusual aesthetic choice, the lyrics are in two languages with two lines of each pre-chorus sung in French by Régine Chassagne, Butler’s wife and co-founder of the band. Adding a little celebrity flair to the mix, the song also features worldwide musical sensation David Bowie in the chorus. The instrumentation is diverse and masterfully directed, with the song balancing kit, hand drums, synth, saxophone, guitar and piano into a complete creation that feels like a classic Arcade Fire song without diminishing the newfound weight of the lyrics. The album’s second song, “We Exist,” is more reminiscent in feel to previous Arcade Fire songs. The lyrics revolve around multiple topics, from privacy in the internet age to what may be perceived as homosexual rights; to really pin down what the song is saying is difficult and must be left to the discretion of individual listeners. In regards to instrumentation, the track features a synth, guitar, kit and piano combination that is reminiscent to the sound of previous Arcade Fire songs without actually mirroring anything that they have done before. While the instrumentation is good, it serves mainly to emphasize the lyrics, which are the real point driven home by the song. Such lyrical focus remains a theme throughout the album, making the listening experience all the more thought-based and intensive. Right off the bat, the compilation is radically different from anything Arcade Fire has put out before. 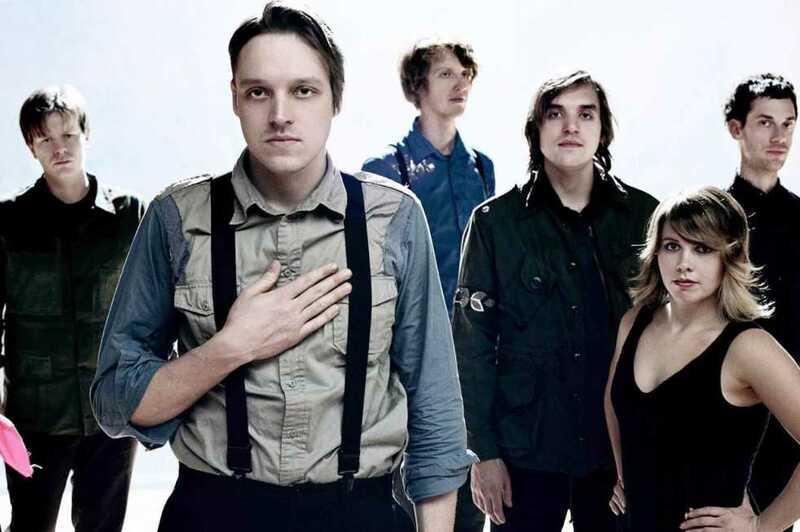 The tenth song on the album, “It’s Never Over,” with the alternate title “Oh, Orpheus,” is a great example of what kinds of inventive sounds and tones Arcade Fire can produce. The song opens with a slow build into a rock-style sound that is present in some of the previous songs on the album but is definitely more bass-heavy within this track, with the only treble sounds being vocals and some dissonant guitar picking. About half-way through the song, however, the tone changes completely, with the hard guitar cutting out and the focus forcibly drawn to the vocals, culminating in a somewhat eerie ending. Given its innovative style, Reflektor is a difficult album to classify. For long-time fans of the band who are familiar with their tone and style of music, it will be a different but welcome addition to their oeuvre; different in that the album tends to have a more lyrical focus and a more varied instrumental base, and welcome in that these stylistic shifts successfully engage the audience. On the other hand, for those who are not familiar with Arcade Fire, the album will be either an interesting introduction to the band’s unique style or difficult to listen to and understand. Either way, this album deserves a listen because it has some fascinating things to say about the world as it is today. However, listening to Reflektor is a process that needs to be taken seriously. Only then can listeners fully appreciate and understand the layered messages of the collection.